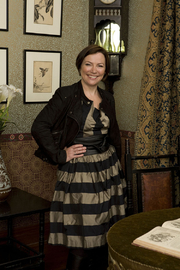 Amanda Vickery is the prize-winning author of The Gentleman's Daughter (Yale University Press, 1998) and Behind Closed Doors: At Home in Georgian England (Yale University Press, 2009), now a 3 part TV series for BBC2 called 'At Home with the Georgians'. She is Professor of Early Modern History at Queen Mary, University of London. Amanda Vickery is currently considered a "single author." If one or more works are by a distinct, homonymous authors, go ahead and split the author. Amanda Vickery is composed of 3 names. You can examine and separate out names.